You can print brilliant color-coded labels complete with individualized bar codes and graphics on-demand from your own laser or inkjet printer. It's as simple as selecting a label design, entering or importing your data, and printing your label. Codeaprint.com is a Web-based label archive and print utility that gives you control of your label printing needs. You can access codeaprint.com over the Internet from any PC running Windows®, XP, or NT with Internet Explorer 6.0 or greater. The easy to use interface lets you log into your secure account and manage your label printing process. You can select label printing process. You can select a label designs from an ever increasing library of sample label designs or your own custom designed labels. You can enter or import your label data, and you can save and retrieve your data for use later. You can print your labels as needed on high-quality label stock using your own laser or inkjet printer. Codeprint.com puts you in charge of your label printing from you own desktop. It lets you print and mange your label needs without investing in specialized label creation software. You don’t need to worry about sensitive and confidential data leaving your computer. You can administer and control account access, yet you can have an unlimited number of users access your account from as many computers as you need. Codeaprint.com also lets you track you label inventory. Web-based so there’s no software to install. Secure so sensitive or confidential data never leaves your computer. Compatible with your laser or inkjet printer. Lets you administer access by adding or deleting users. Unlimited number of simultaneous users. Match your existing color-coded systems or customize with help from your dealer. Pop-up blockers may require being deactivated for the Codeaprint.com website. 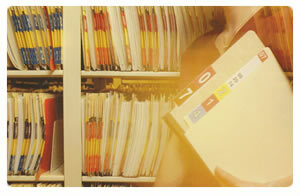 Your folder based filing systems can benefit when you can create and control you own labeling system. FCC Codeaprint gives you control with flexible and easy-to-use features that complement your document filing systems. Codeaprint by Design is a PC-Based version of the Codeaprint system that provides the same functionality as codapriunt.com without requiring and Internet connection. Codeaprint by Design can be installed and operated as a standalone system or over you network. With Codeaprint by Design you use custom labels designed to your specification for you by FSS. You can import client data for each label and make easy revisions to that data. The PC-based system also minimizes security and Internet firewall issues or challenges.